Skye Gravestones | Duncan & Archie Campbell. 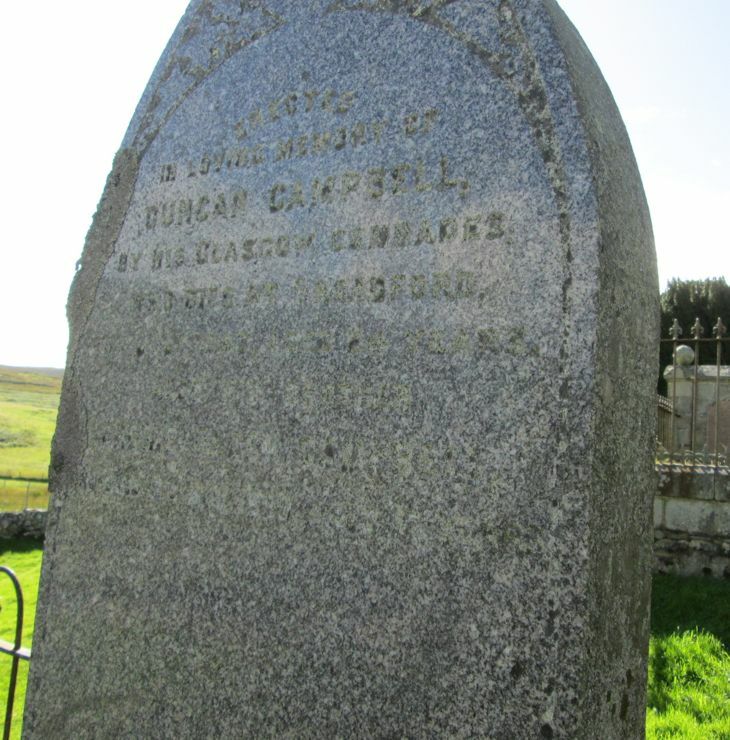 Erected/in loving memory of/DUNCAN CAMPBELL/by his Glasgow comrades/who died at Broadford/25th July 1893 aged 24 years/also his brother/ARCHIE BLACK CAMPBELL/who died 8th Nov. 1899, aged 15 years. He is gone but not forgotten/never shall his memory fade/sweetest thoughts shall ever linger/round Kilbride where he is laid.